While some people in the limelight would do all they can to avoid them, Lynx Entertainment signee, MzVee believes controversies help push brands up. In an interview on the role controversies play in the lives of celebs, the Bend Down singer who said she is not controversial said it however helps with brand positioning. “I am not fond of controversies but what I can say is that, they help push one’s brand up, they put you out there, people look out for you etc. “See for example, if I suffer a wardrobe mal-function right now, the media will carry it everywhere and people would want to know more about me. They would want to know who I am, what I do etc. “I am not a controversial person but because it is part of the game, I cannot avoid it but in all that, I try to handle it well”, she said. The award winning musician also spoke about the attention her Bend Down song is getting saying the feedback has been amazing. “Bend Down is dance music and everyone knows I love to dance a lot. I heard the beat and I just knew I had to jump on it. The reception has been so good, MzVee said. Bend Down features award winning musician Kuami Eugene and production credit goes to MOG Beatz. MzVee hit the limelight in 2012 as part of girl band, D3, managed by Lynx Entertainment, which later split up. She began her solo career shortly afterwards under Lynx and she has released a number of hit songs like Bokor Bokor, Sing My Name, Rewind, Daavi, Come And See My Moda, I Don’t Know among others. 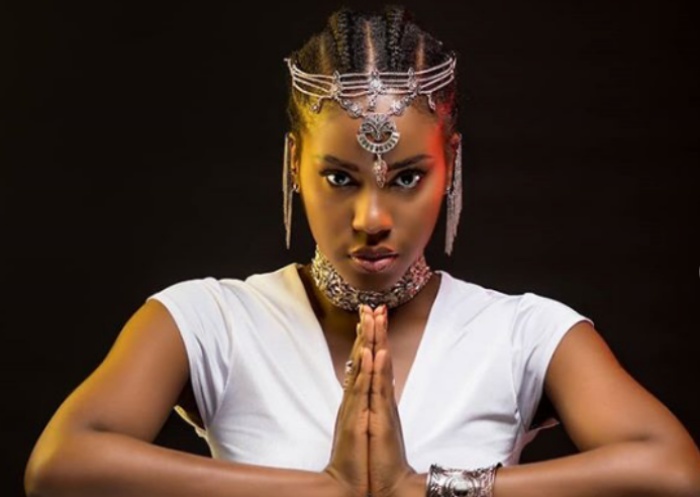 MzVee, who has been in the industry for seven years says she has grown as a person in the industry and music has given her another perspective about life and how she associates with people.